I just had a guy offer his extra copy to our (CC) library as a donation! I had never heard of it. The guy said the manuscript was found in Chicago in the 30’s, and no author is known, so clearly it’s from aliens. I looked it up–apparently it’s about 2000 pages long, and it looked to me as though it was filled with bibble-babble, but hey who am I to judge. It doesn’t seem to be entirely obscure. I didn’t bite on the donation, but I think it would be OK for a larger library than ours. Many people, myself included, think all religions are weird. The one this book spotlights is no ‘weirder’ than Christianity, which is a zombie worshiping death cult that forces it’s adherents to fetishize a torture device. If libraries truly wanted to keep an open mind then they’d stop acting like a few religions are better than others only because they’ve succeeded in brainwashing more adherents. I used to work in a library and knew a woman and her boyfriend who believed this and donated several of these books to the library. She didn’t seem goofy or anything, but I never read the book, or really wanted to. I’m a Christian pastor interested in the ‘weird’ aspects of faith and belief. I’ve seen the Urantia book in various libraries but have never met any followers. We’ve gotten it through interlibrary loan for a couple of different people. Or maybe the same person twice. A book for every reader and a reader for every book…. @SD: If, as someone pointed out, your “B” section is really the Doctor’s TARDIS, you could get away with that. It’s a little harder in some places. Especially if your reader interest is strongly in one or two religions, you can’t have only ONE Bible/Koran/etc. 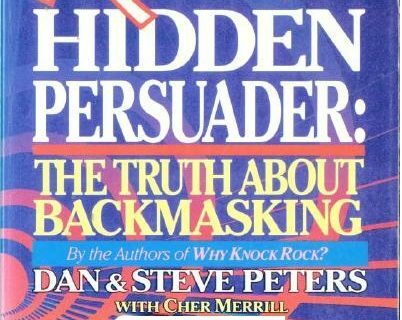 Actually, the late, great Martin Gardner, author of Fads and Fallacies in the Name of Science and a lot of recreational math, wrote a book on this and showed connections between Urantia and a distortion of Adventism. My academic library has it in our collection and it’s gone out on ILL several times. Perhaps Rebecca’s library was one of those. I’ve thumbed through it when it’s been pulled for ILL and I say it is both providing “balance” to the collection (it is the religion’s holy book) and is weird, though I think the same could be said for all religions including my own by those who aren’t practitioners. “a zombie worshiping death cult that forces it’s adherents to fetishize a torture device”… God, I love that one. Excuse me while I go clean off the coffee that I snorted all over my laptop. Umm…weird…as an Atheist I find these sorts of things fascinating and don’t mind at all if libraries keep a large collection of religious texts (if they have the space and don’t impinge on other collections). Libraries are not meant to be political spaces and should be open to many points of views and interests. Libraries celebrate Banned Book Week for a reason. But this book seems pretty far out there on the scale and, especially if you have a library that needs room, I’d say it could be a discard without too much protest from anyone. This seems to be one of those cases that calls for a bit of research into the current status of this faith and it’s practices. I practice a relatively lesser known faith, and it is simply unfamiliar to many. Simply because I have not heard of Urantia does not mean it can be ignored or should be *censored*! 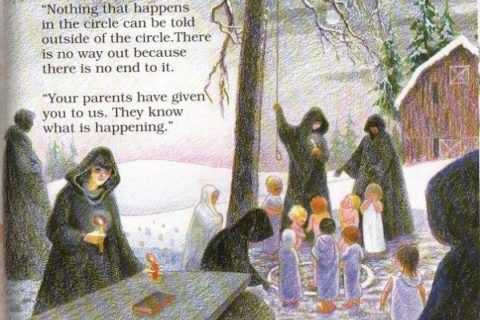 I vaguely recall that the FBI or a similar agency used to try to identify “cults” and made that information available. I would look into secular, hopefully unbiased information resources before tossing this aside. I might even go so far as to paste such information in the front cover, as libraries did with book reviews in previous eras. Along with a “donation” notice, so no one would squawk about spending tax dollars on such a religious text. I hope if Steve is a librarian he is able to suppress his disgust of religion when dealing with patrons. There is room for all points of view. Especially in the religion section it’s balance, even though it’s obscure or even weird to some people. Respect for many points of view is supposed to prevail at a library. I think it’s reasonable to use “popularity” as a measuring stick when you’re talking about a public library. A public library isn’t an archive. Similarly, it would make sense to keep a biography of Tom Cruise, but not a biography of that actor who appeared in that soap commercial 1980 that no one has ever heard of. I read this book! I was a Religious Studies minor and spent a lot of time reading about NRMs (new religious movements) of the late 20th century, especially the ones that talked about aliens. I was the only one in my classes who took that route, though. I knew I should’ve just ignored this one because as someone who believes in God and sees the logic in religion I knew there would be things said here that tick me off. So I walked away and prayed and calmed down. Thankfully, God gave us free will so we’re allowed to believe whatever we want. Including anything in this book. But I am sick and tired of the Jesus/Zombie thing. Jesus Christ is NOT a zombie. Zombies, in actual zombie mythology, are LIVING people controlled by a magic spell and/or drugs. They are NOT dead. The whole “dead rising and eating the living” is a Hollywood invention. Zombies in Hollywood more closely resemble ghouls, whom are supernatural beings that eat dead and decaying flesh, not living. With the whole dying and coming back, Jesus Christ more closely resembles a vampire then a zombie. Now the whole messiah thing is up for debate as he did not do what the messiah is suppose to do – but if it turns out he was the messiah and comes back, check for fangs. Hey, I remember this one! A patron specifically asked for it, and it was in our reference collection, so we gave permission for him to take it home and he thought it was fascinating! Then I think he wanted articles? Or something more about it? But I don’t remember the outcome of THAT search – maybe it required Stumpers-L? I say this is a keeper, but I work near a large city filled with people interested in many religions, even those with few adherents. I’d take a practical approach–how many circulations has this book had? If there’s a lot of interest, keep it, but if not…. There are so many little religions out there, I don’t think the average library has room for books on them all. I agree with Jami…I myself see more logic in God than trying to explain things without him. And we don’t ‘fetishize’ a torture device or we really shouldn’t…it’s about what the cross accomplished and its aftermath, not the cross itself. I side with Denton, although I prefer to refer to it as a “Middle Eastern Death Cult with various indigenous practices from Europe and the Americas tacked on.” Really, it’s only the pagan/tribal customs & rituals that make it at all bearable; omit “Christmas” trees and wreaths and you’ve lost e entirely. Also, Jami – there is a marginal chance that I am on the opposite side of the fence from you re: Xianity, but your comment was great. By “great” I mean unbelievably snarky, yet subtle. Seriously, now that it has been pointed out to me, who could confuse the mindless victims of vodou with the active maleficants of vampirism? Zombies certainly do not seem to encourage anyone else to partake of their flesh and blood, preferring to snack on the living, while vampires, according to lore, are big on the blood exchange. Check for fangs, indeed. Cannot stop smirking. Must remember to refer every vehement Xian to this. Oh also – have worked at a wonderful theological library, mostly staffed, so far as I could tell, by sympathetic and curious unbelievers. I may be a vehement atheist, but I quite seriously think it is very important to represent as many belief systems as the library can accommodate. But also to be allowed to mock Mormons and – well, all religious fanatics. Which to me means pretty much anyone who is avowedly faithful to any religious system. Many people, myself included, believe Atheism is a dreary and parasitic cult. The vaguely New Age cult this book spotlights is no weirder than Atheism, which is a narcissistic death cult that believes humans somehow created themselves and forces its adherents to chase their own tails, believing themselves to be somehow in possession of immaterial free will even as they deny the very existence of any immaterial self to be in possession of this free will in the first place. If libraries truly want to keep an open mind, they’ll have to reject Atheism outright, since Atheists can’t admit to having any mind at all; just a delusional lump of purely materialistic gray matter entirely under the control of amoral and deterministic laws of chemistry and physics. 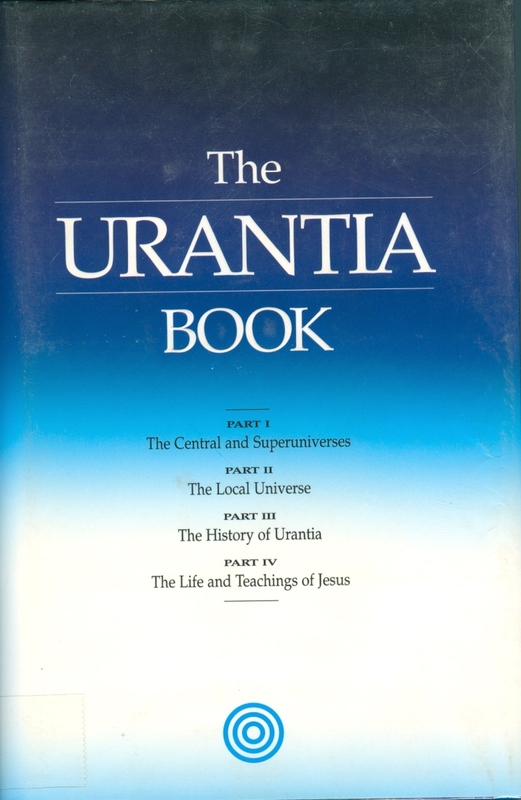 We have 4 books on Urantia in our consortium database, owned by 4 libraries. Total circ for all copies over the last 6 years is 54. The two editions of the actual text (1996 and 1955) account for most of the circs. The other two titles are derivative and haven’t circ’d much at all. A spot check of more traditional religious titles (Bible, Koran) suggests Urantia’s circ is average or above. FWIW. Interesting discussion. Religion is one of those topics that brings out strong opinions. Proof that religion collections should be as comprehensive as possible. As for expressing those opinions out loud when people check them out—not professional, or nice and likely to result in heads rolling. Here’s a scenario where it’s nice to be in an academic library, because we can consult the faculty in the Religion/Philosophy department and ask whether the book serves the curriculum, and whether this “religion” is just a bunch of crackpots. But even public libraries would benefit from having friends in academia that they can ask for advice, in a variety of subject areas. Let’s get to schmoozing, librarians! Our copy has circ’d 40 times since 1999, whereas the Book of Mormon has only circ’d 17, so I think we’d keep it. I’ve been asked for it once or twice. Of course, being in a metropolitan area, we have a diverse religious population. I have never heard of this! But then, I am apart of the zombie worshiping death cult so some may see me as closed off. Seriously, I am very interested in smaller religions and love to read about them. This is one I think I am going to have to read up on. 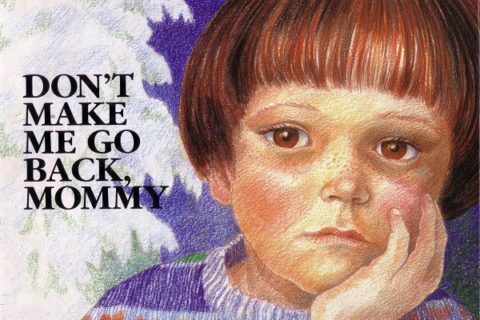 My suburban childhood library had this book (or a similar copy) throughout the 80s and 90s. Not sure if it’s still there; I tried flipping through it once but it kind of dripped crackpot out its bulging sides. Thanks, Mr. Denton. It’s good to be reminded periodically that extreme right wing pundits and radical religious groups do not have a monopoly on narrow-minded and offensive bigotry, I guess all belief systems have their intolerant and uncivil extremes, and you could run a seminar. Once again I’m labeled as an intolerant bigot because I disagree with the majority of people in this country. Expressing my distaste for religion, especially the Christian one, isn’t intolerance or bigotry. Trying to constantly get me to change so that I believe the same things you believe is intolerant and bigoted. If you want to believe in a religion, fine. Stop making me try to believe in it and stop assuming I’m not a moral as you because I don’t subscribe to what every fairy tale you believe in. And for the record, I used to believe in all religious stuff and I have seen it for what it is, a way for the few to keep control over the many by means of fear. Believe what you like, don’t assume I’ll follow blindly. And yes, libraries should be full of books on all points of view, however here in the USA most libraries only stock books about Christianity and Judaism. Many won’t put books that question religion or that champion atheism. And to the person who said that atheism was a dreary cult, you’re sadly mistaken. The world and the universe become a much more vibrant and wondrous place when you finally accept that all of it has been created by chance. Accepting the ‘fact’ that some god created everything is intellectually lazy and dangerous. Many years ago we just accepted sickness and disease as part of ‘God’s will,’ until science stepped in and saved us that is. Keep your religion, stop belittling other religions, and accept the fact that not everyone believes the same things you do. In other words Christians, grow up. Jami–Actually, according to the dictionary, a zombie is “the body of a dead person given the semblance of life, but mute and will-less, by a supernatural force, usually for some evil purpose.” So they are, by definition, dead. Also, the idea of the dead rising and feeding on the living is not a Hollywood invention, as you said. It can be found as far back as the Epic of Gilgamesh. Many years ago we just accepted sickness and disease as part of ‘God’s will,’ until science stepped in and saved us that is. You are certainly entitled to your own belief system, whatever that may be, and it is not my place to judge you or to force you to change your beliefs. What I take offense in is the antagonistic and insolent manner in which you are expressing those beliefs, which seem specifically designed to stir up trouble. I would very much appreciate if in the future you would endeavor to communicate your thoughts with a little more respect for those whose beliefs differ from the ones you hold. I am more than happy to offer you the same courtesy in return. Thank you. Now, to the topic at hand. I think public libraries have a duty to provide a well-rounded and up-to-date collection for their patrons. If this title is circulating well, a more current title is not available, and the library has the space, by all means, it should be kept. If not, then it should be weeded. Simple as that. I am with you. A voice of reason, a breath of fresh air amongst the religious nuts in your country. As for the book: garbage. Bin it. Jesus portrayed the profound surety of the God-knowing mortal when he said: “To a God-knowing kingdom believer, what does it matter if all things earthly crash?” He continued, “Yo! Yo-rantians! Let me lay down the celestial, so yo don’t be so terrestial!” I can quote the Bible too! Ack! That attempted to post three times and I don’t know why! Sorry!